Saturday morning found us at Bonny’s Café in El Cajon for breakfast. 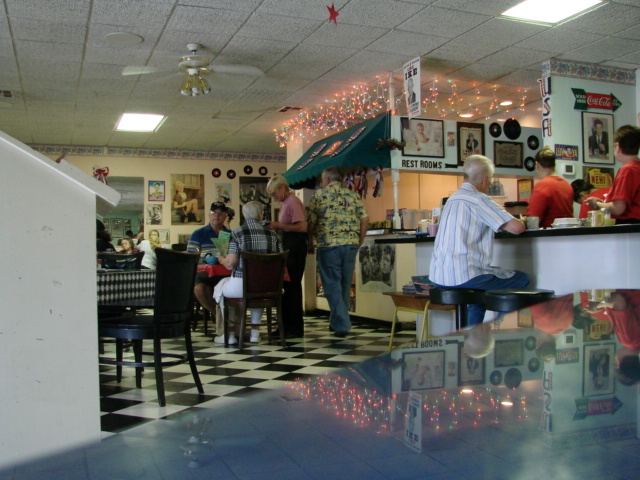 Not only is it great diner style food It has a really cool decor. 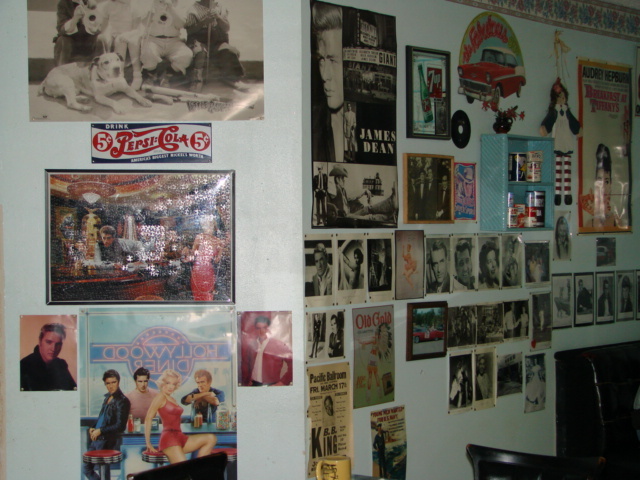 It is crammed full of 40’s & 50’s movie star and t.v. 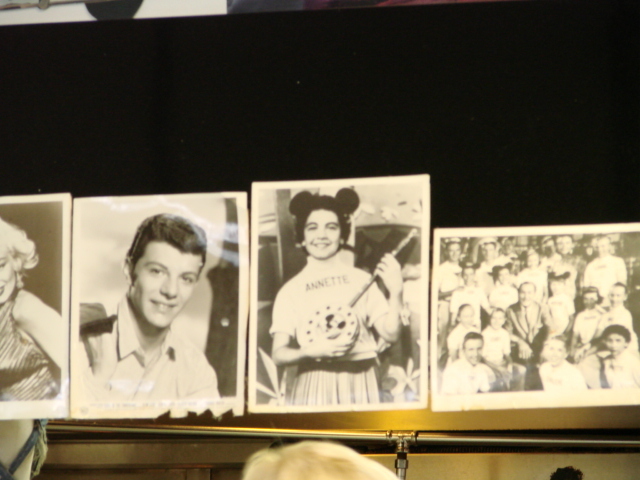 personalities memorabilia, everything from Marilyn Monroe to Spanky and our gang. We have not yet had a bad meal there. Most of the time there is a little wait but well worth it. We hit it at the right time and got seated right away. 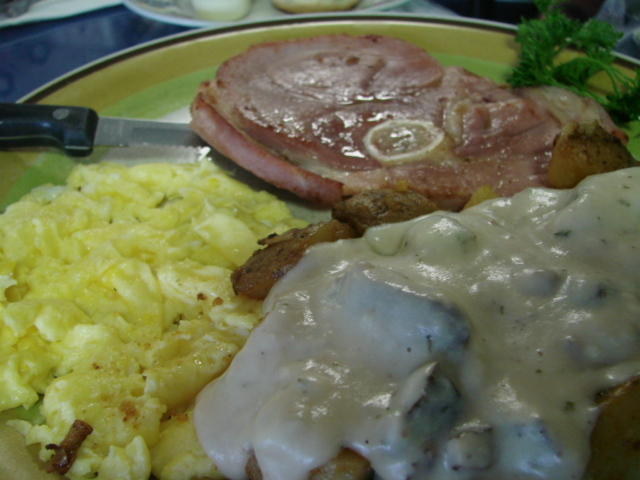 Stan had the short order of ham and eggs, which is a smaller sized ham steak with two instead of three eggs and country fires covered in sausage gravy. His scrambled eggs were nice and moist, no brown, not overcooked in the least. 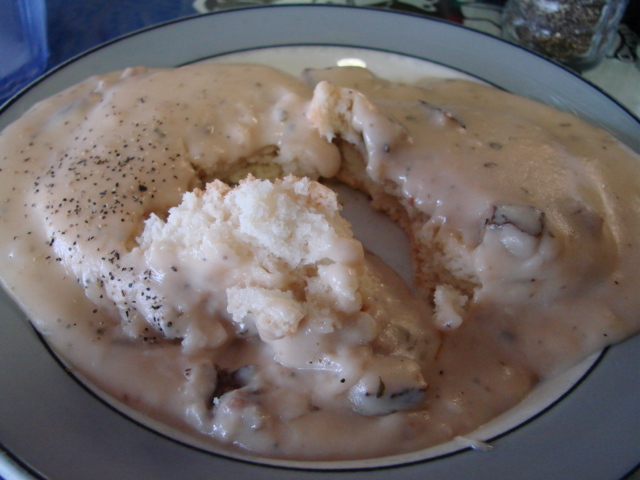 I had the corned beef hash and eggs over easy, country fries and biscuits and gravy, my favorite all time breakfast. 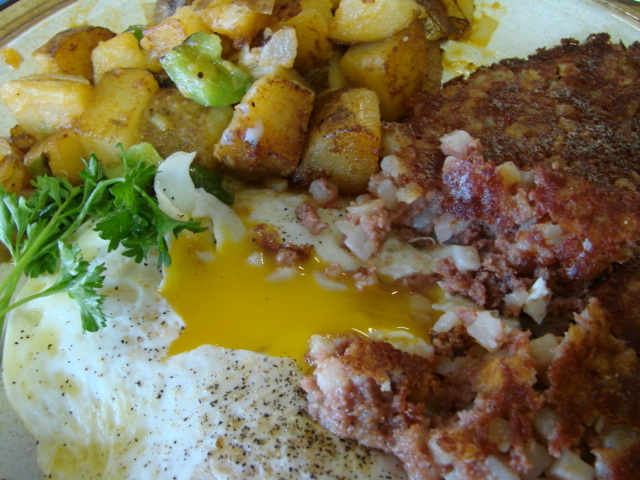 The corned beef, yes I know it’s canned, was cooked on the grill until it had a nice crunchy outer layer and the eggs were nice and runny, all the better to mix in with the hash and potatoes my dear. The potatoes are cooked with bell peppers and onion. Doesn’t get any better than this. 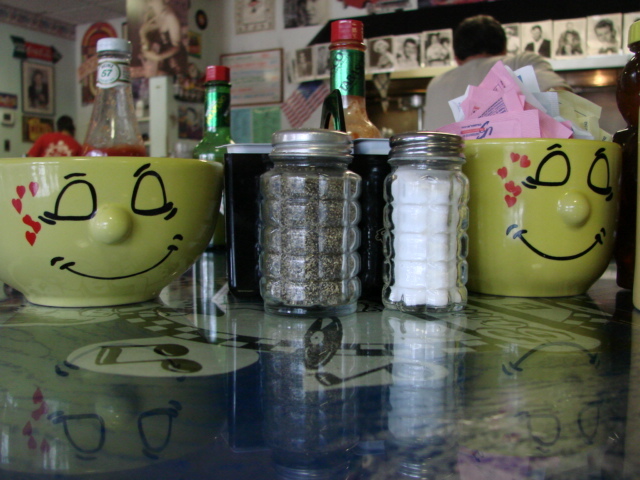 The table settings are homey and the whole place has a comfortable feel to it. 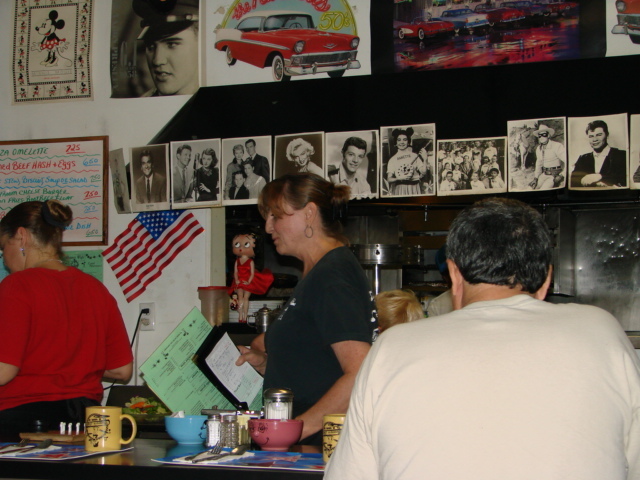 The waitresses are efficient and friendly and call their customers by name.